Turnkey property investing is gaining in popularity among a wide range of investors. Retirees look to it as a way to enhance their monthly cash flow without intruding on their relaxed lifestyle. Young professionals with good-paying jobs in cities such as New York and San Francisco, where property values are out of their reach, are finding that purchasing turnkey properties in more affordable areas is a way to add real estate to their investment portfolio. In both of these situations, minimizing risk is a top priority. Horror stories of bad tenants abound, but there are steps you can take to ensure that your investment doesn’t fall into that category. As with any kind of investment or big-ticket purchase, you need to do some research before you make a commitment. Some things to consider include the rental market in your chosen city, that city’s overall economic outlook, the best areas within that city for turnkey investing, and what type of property is best for turnkey investing. You also need to look at the turnkey investment companies doing business there. Investigate these companies’ track records before making a commitment. Be prepared to make a trip to your target city so you can see properties for yourself and visit a few investment companies before selecting one to work with permanently. See also Turnkey Property Investments: What Could Go Wrong? What is your primary goal? Are you looking for immediate cash flow? Do you want a property that will appreciate for a quick resale? Make sure you are clear in your own mind before talking to a turnkey investment company. This keeps you focused on the right kind of property for your needs rather than a beautiful home that is so expensive it won’t provide the return you want. This is also the time to develop your long-term plan and exit strategy. You may find a property that gives you good cash flow but that won’t necessarily appreciate greatly in value. Will you be satisfied with this scenario? Knowing what you want down the road will help guide your decisions at the beginning. When you first start out in turnkey property investing, it’s a good idea to purchase just one unit to use as a test property. This gives you a chance to learn how this system works and decide if it really is for you. Look for a good quality property for your first investment with a moderate ROI. This is not the time to look for a high ROI; as with all investments, higher returns also mean higher risk. You’ll want a property in a good area that will attract high-quality tenants who may want to stay for a longer period. If you feel your first foray into turnkey property investing has gone well and you want to add another property, you might be tempted to buy a similar type of property in the same area. However, what if a disaster affects that neighborhood, like a tornado ripping through the heart of it? Or a new airport is planned with the landing path right over your property? If all your investment properties are right there, you could lose a significant amount of money. 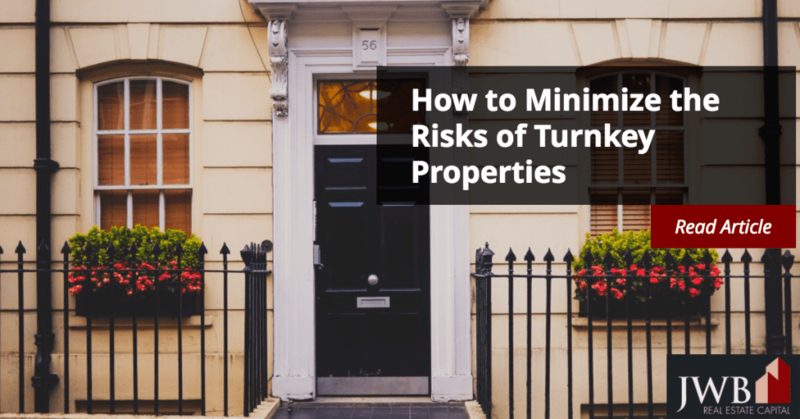 Purchasing your subsequent turnkey properties in other areas of the city makes sense to protect you from such difficulties, just as you probably wouldn’t put all your investment funds into the stock of just one corporation, or even one industry. View potential returns and turnkey investment properties here.